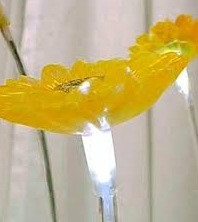 This Solar Sunflower Flexi Solar Light will add color to your garden, patio, deck or any favorite outdoor area. 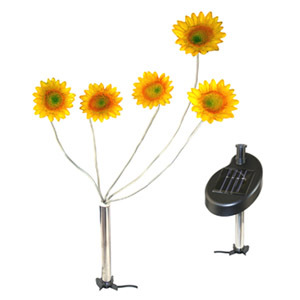 This solar sunflower features a stainless steel post with 5 adjustable sunflower stems, and a separated solar panel with 6 ft cord. This solar flower light can be mounted in any garden while hiding the solar panel in another location. Buy it today and enhance your garden landscape with these magnificent solar sunflower lights.